Galaxy Note Fan Edition is finally getting its Android 8.0 Oreo update. The phone comes with Android 7.0 Nougat, and it is the first major update from Samsung for this phone. There are significant changes in this build like overhauled UI, security patch, and performance improvement with greater battery life. As always, Samsung is rolling out this XXU2BRD4 Android 8.0 Oreo via OTA (Over-the-air). But due to some region restrictions, some users might not receive the update. 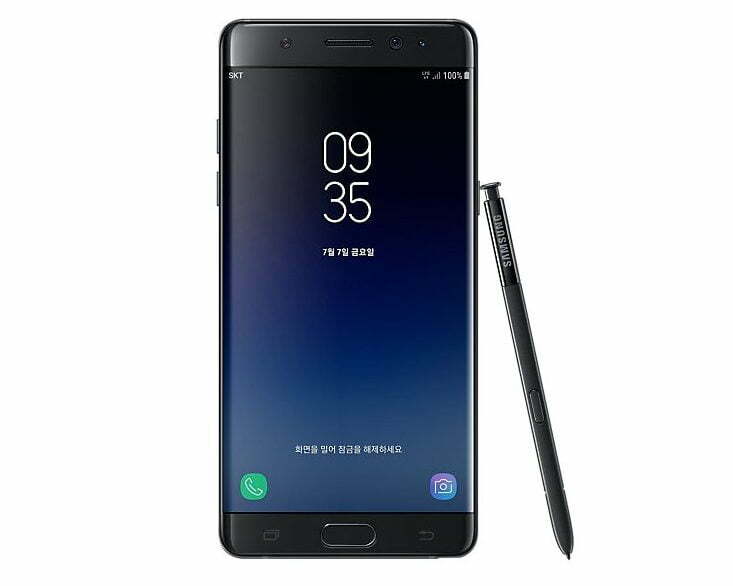 In that case, you can follow our detailed tutorial on how to update Galaxy Note FE N935F to XXU2BRD4 Android 8.0 Oreo Official Firmware manually. Moreover, you can also root Galaxy Note FE N935F on this firmware. This guide will use Odin tool to flash the firmware. You can simply download the XXU2BRD4 Android 8.0 Oreo Official Firmware from the link given below and install it with the given set of instructions. Samsung user can use Samsung Smart Switch to backup data on the computer. Smart Switch allows user even to move data from one device to another of different variant (like moving data of Galaxy S7 to Galaxy S8). This firmware is device specific and will work only on Galaxy Note Fan Edition SM-N935F. Please do not try with any other variant on Samsung devices. Make sure you have correctly installed Galaxy Note FE N935F USB Driver on your computer. If not, please download it from our USB Driver Section below and install it correctly. Otherwise, your computer will not be able to detect your device. The tutorial will use Odin flash tool. We have mentioned full step-by-step instructions on How to Install XXU2BRD4 Android 8.0 Oreo. If you are entirely new to rooting, flashing a Custom ROM or an Official Firmware, please read the entire tutorial once before actually performing it on your device. Please read the tutorial from the link above to install XXU2BRD4 Android 8.0 Oreo. The procedure has been described properly with screenshots. If you got stuck somewhere, drop your comment below, and we will help you as soon as possible. Have fun playing with the major system upgrade. You can try out some Xposed modules on Oreo, or you can even try Magisk modules to modify your device in the way you like. Users can now unlock the bootloader on the Realme 2 Pro!